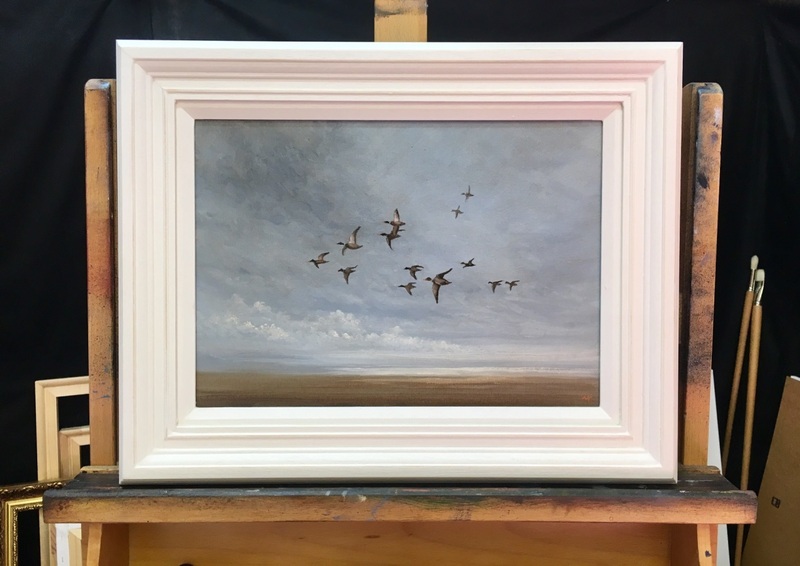 As the heat of the Summer of 2018 recedes and gives gentle way to the start of Autumn, the wild Mallard ducks flight across the coastal marshland of North Norfolk. 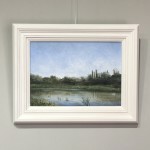 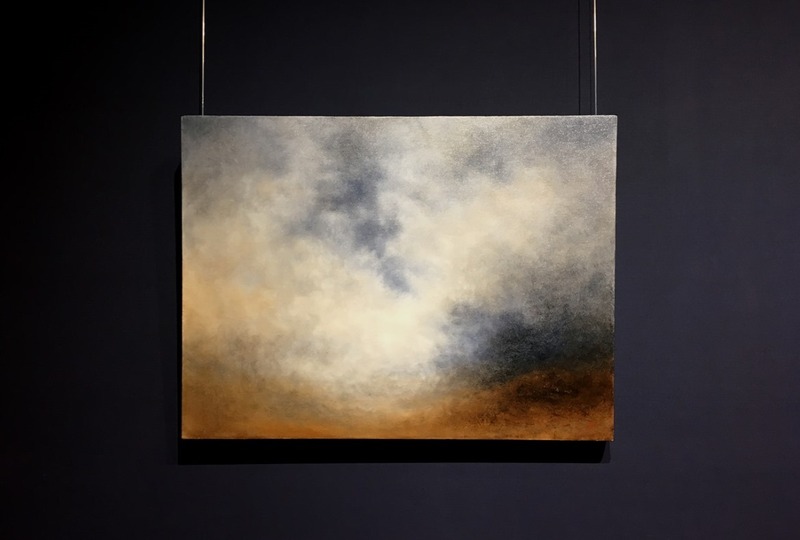 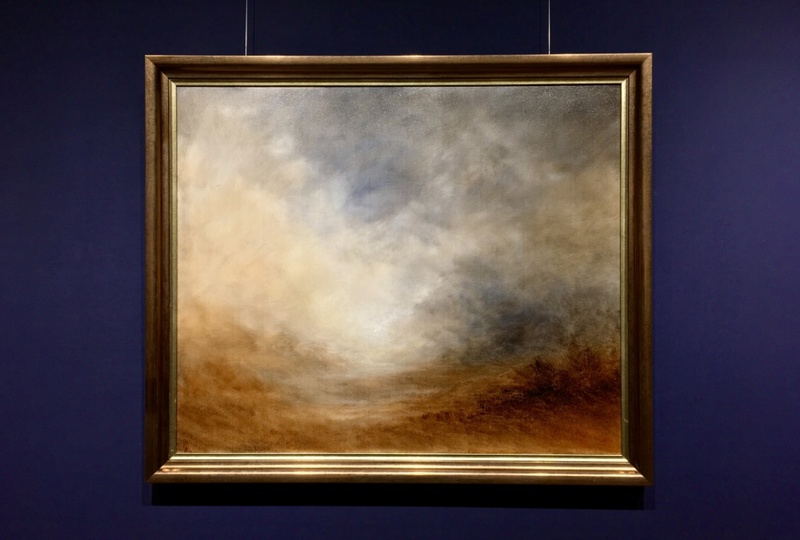 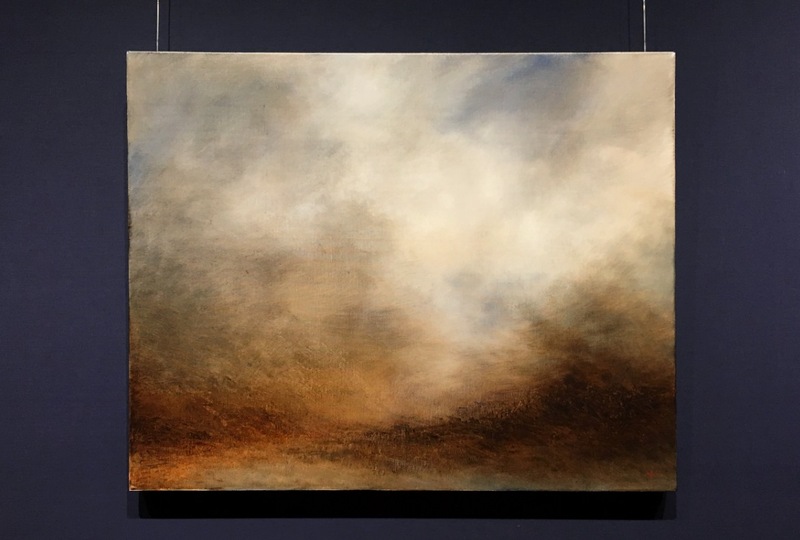 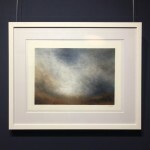 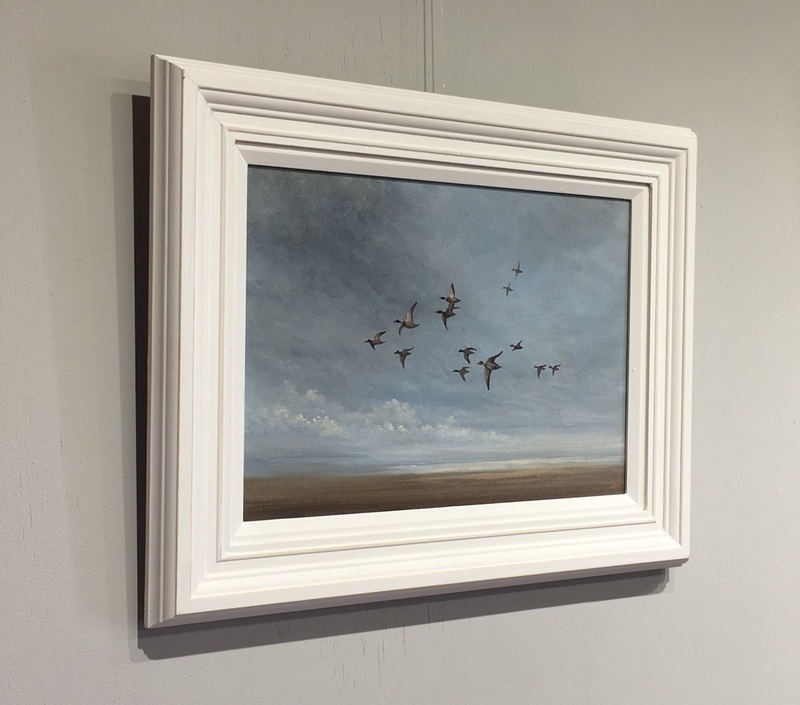 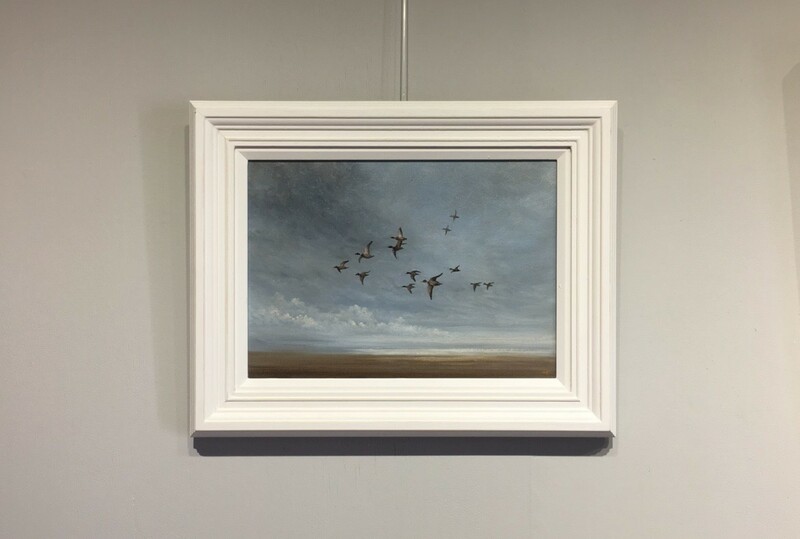 In this original oil painting Nial captures the sense of movement with ducks wheeling across the sky and low cloud on the horizon out to sea. 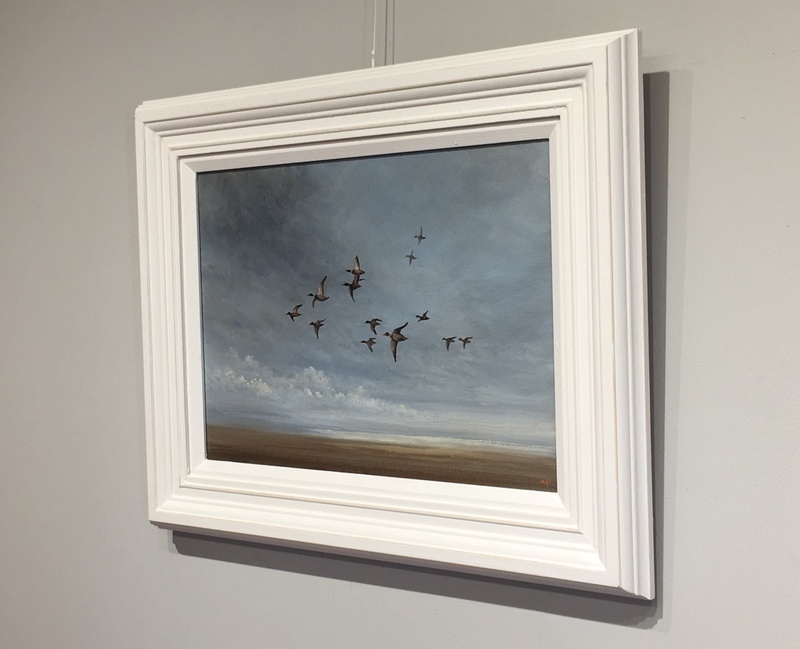 Painted in a limited palette and using the contrast of dark and light the scene brings a small slice of the North Norfolk Coast to your wall.